Our designs are application specific, tailored to your process, your needs, your operating world. Its critical to understand and assess the process; not only to understand the cooling load, but how it is developed and what is particular to your specific cooling needs. Yours may be a new ground up system requiring room layout, new equipment, vessels, piping and controls. It may be an expansion of capacity or process and possibly both. It could be a straight forward system upgrade and modernization project. Regardless, the design still has to be tailored to your production and demands an understanding of your operational cooling needs. 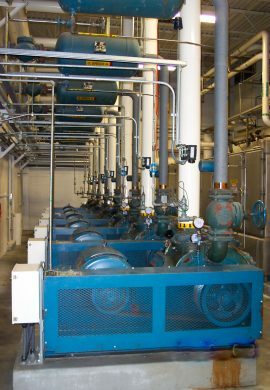 System design is meant to provide a balance of equipment, vessels, controls and piping to provide a cooling system infrastructure that is operationally safe, reliable, efficient, affordable and a contributor to your production function. 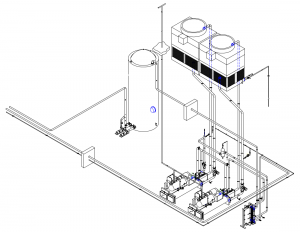 A new system design begins with how much refrigeration your product will require. Our comprehensive review determines the compressor capacity, evaporator load, and evaporation power the system will utilize. 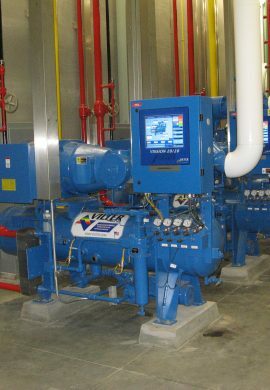 For a production facility, a water chiller system may be necessary. In this case, Barrows System provides a premiere design that guarantees a successful system for your product. Consult with Barrows Systems before making any necessary changes to your refrigeration systems. Our refrigeration designs follow this outline of evaluation in order to ensure the best possible system for your needs. 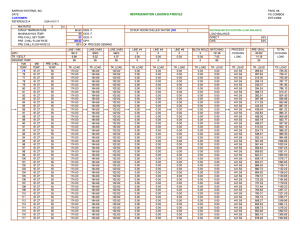 Complete assessment of refrigeration load. 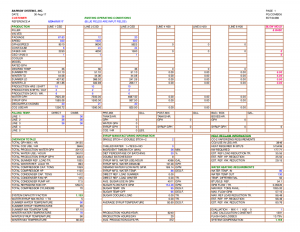 Review of existing refrigeration equipment and capacities. Complete specifications for equipment, vessels, pipe size, piping techniques, valves and valve locations. Interface of existing and new refrigeration equipment. Provide new equipment to exact design specifications. Complete detailed isometric piping drawings. 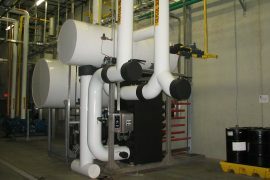 Buffer tanks allow for extra water to be held in a closed chiller system. The first step is determining whether or not a system is the best addition to your facility. Several benefits exist from adding a buffer system. 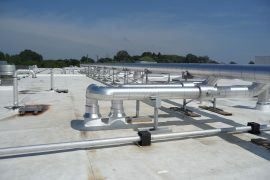 Provides a reduction in on-line demand refrigeration horsepower. Minimizes the variable load generated. Provides an effective increase in water treating capacity. Provides chilled water to the syrup room for batching purposes. With today’s high cost of energy and other utilities, precise system controls are a must so that the refrigeration system can be a contributor to overall lower production costs. Barrow Systems can perform a refrigeration system operational functionality, mechanical and safety audit and make recommendations on how to improve mechanical, electrical and other utility efficiencies in your system if any are needed.